Ryan R. Zimmerman, DVM, earned his degree from The Ohio State University College of Veterinary Medicine in 2000. He was raised in nearby Lindsey, and attended Fremont Ross High School, where he was active in sports, FFA, and 4-H. He is a member of the American Veterinary Medical Association, American Association of Equine Practitioners where he sits on the committee for Infectious Disease, and serves on the Executive Board of the Ohio Veterinary Medical Association. Dr. Zimmerman sees large animals at Westview Veterinary Hospital in Fremont, OH as well as small animals. He has a strong interest in equine lameness and reproduction as well as small animal orthopedic surgery. Dr. Zimmerman resides in Fremont with his wife, Sarah, twin girls, Lauren and Faith, son, Aidan, dogs , Deacon and Landry, cats, Raven and Jack, and horses. He also attends Lindsey United Methodist Church. In his spare time, he is on the Board of Directors for the Sandusky County Chamber of Commerce, and is a Lieutenant with the Lindsey Volunteer Fire Department where he has been a firefighter and First Responder since 1996. Brandy Nuhfer, DVM, earned her degree from The Ohio State University College of Veterinary Medicine in 2012. Brandy grew up on a beef cattle, grain and hay farm near Medina, Ohio. She was very active in 4-H for ten years, taking market steer, market lamb, market hog and beef breeding projects. After graduation from Cloverleaf High School in 2003, she obtained an Associate of Science degree in Livestock Science from Ohio State's Agricultural Technical Institute in 2005. Dr. Nuhfer then majored in Animal Sciences at The Ohio State University and graduated in 2007 with her Bachelor’s degree. In 2010, Dr. Nuhfer obtained her Master of Public Health degree from OSU. After graduation, she worked in busy a four doctor mixed animal practice in Loudonville, Ohio for two years, focusing on dairy herd health but also provided services for small animals, sheep, goats and horses as well. Dr. Nuhfer is a member of the Ohio Veterinary Medical Association, the American Veterinary Medical Association and the American Association of Bovine Practitioners. Dr. Nuhfer and her husband, Jason reside in Willard on a 115 head Jersey dairy farm, Bar Lee Jerseys. They have a son named Gage and two cats, Hank and Sparkle. In her spare time, Dr. Nuhfer enjoys snow skiing, showing cattle and spending time with her family. Aimee has been with us since 1999. She has her Bachelor of Science from the University of Findlay in 1999 and her Registered Veterinary Technician license from Stautzenberger College in 2004.She is a member of the OAVT and AAEVT. Aimee resides in Tiffin, with her cat Whosit. Jil - Receptionist, came to us from Dr. Brent's office where she was the receptionist since January, 2006. She has her Bachelor's Degree in Secondary Education and has extensive experience in customer service. Jil lives in Sandusky with her husband, Bruce and their retired racing greyhound, Shawna. 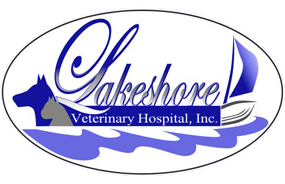 Kari - Veterinary Assistant was hired to Lakeshore Veterinary Hospital in Nov. 2013. She graduated from Michigan Sate University with a Bachelor's of Science degree in Zoology. Kari had previously spent most of her time working with exotic animals in zoos until moving to Sandusky. Outside of the office, Kari enjoys seeking thrills at amusement parks and traveling to tropical locations. Kari and her husband Matt have a cat Smokey, but look forward to getting a dog when they buy their first home. Amber - Registered Veterinary Technician graduated the Veterinary Technician program from Penn Foster College with an Associate of Science Degree. She has 18 years of experience in the veterinary field. Amber enjoys every aspect of veterinary work from caring for patients to educating clients. When Amber is not at work you can find her camping, fishing, and making crafts. Amber and her husband, Doug, reside outside of Republic. They share their home with two sons, Shane and Vaughn. Currently Amber has a spoiled cat named Paul and a Doberman Pinscher named Abe. Kellie - Veterinary Assistant spent her high school Senior year afternoons helping us out when we were in our downtown location. After graduation, Kellie explored some academic interests at the University of Akron. Upon returning to Sandusky, Kellie started back with us as a full time employee and we couldn't be happier! Kellie assists technicians and doctors throughout the day. She mans the front desk, educates clients and helps with our patients. In her free time, Kellie enjoys watching Marvel movies, cheering on the Cleveland Cavaliers and spending time with her 3 cats, Tico, Tiggy and Milo and her feisty Husky Penny.